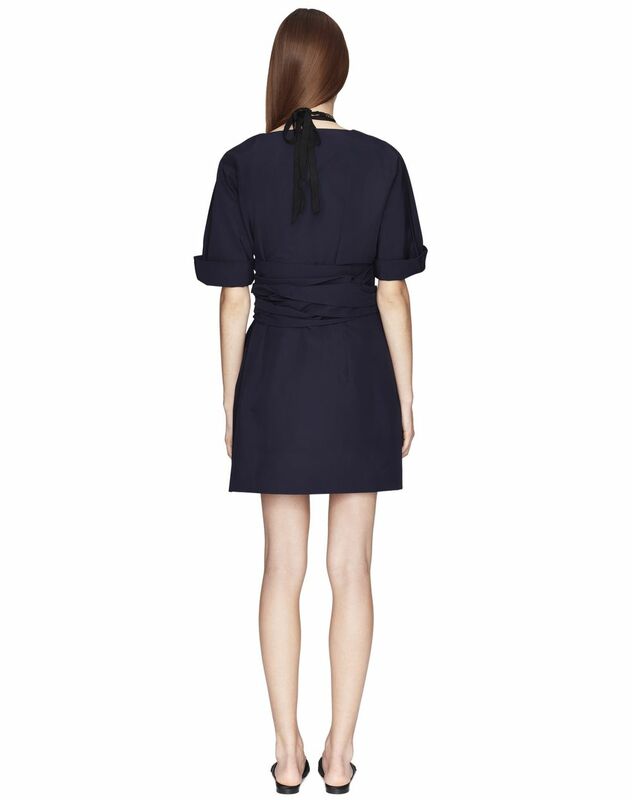 Short navy blue cotton weave dress, elbow-length kimono sleeves, round neck, fitted waist, side pockets, tone-on-tone topstitching, and adjustable belt at the waist. Combining comfort and elegance, this short navy blue dress elegantly enhances the silhouette with its tone-on-tone tied belt, which delicately wraps around the waist. 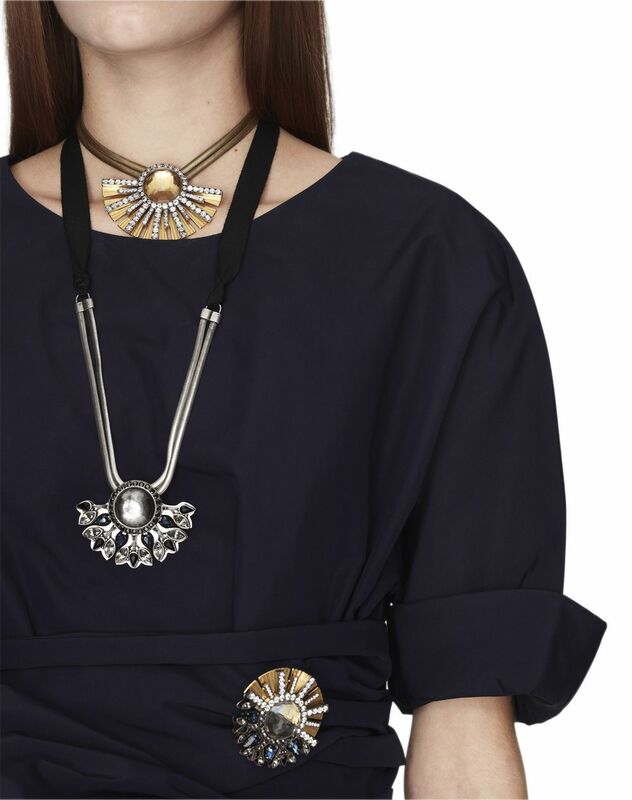 Modern and versatile, this piece can be paired with sandals for a contemporary, minimalist style, or with pumps for a chic, casual look. Main material: 55% cotton weave, 45% polyester weave. Model's measurements: Height: 5’ 10” Chest: 33” Waist: 23.2” Hips: 34.6” Model wears a size 4. Made in France.